It’s Christmas Time in Epcot! Prost! | It's "All in WDW"
It’s Christmas Time in Epcot! Prost! Or, should I say, “Cheers”, my friends? 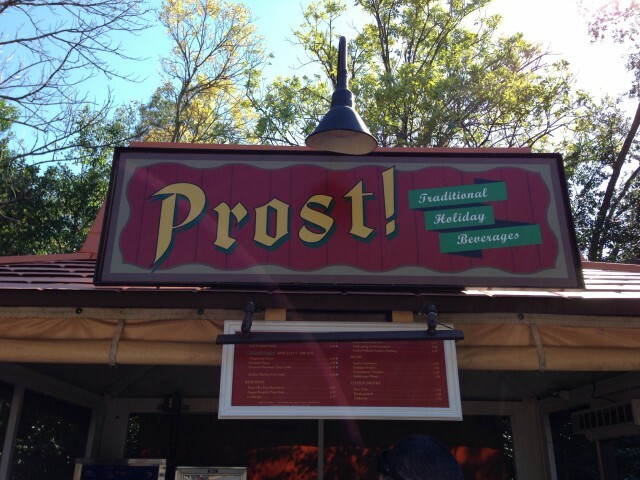 I mentioned this particular German holiday gem on the most-recent episode of the WDW Main Street Podcast. Did you catch it? No? Well, here you go, then. Click this link to listen! As is one of our “bad” habits, the show’s hosts, Doug Davis and Dennis Conroy, and I stumbled upon a favorite topic – Food & Wine. It was Dennis’ fault, I assure you! 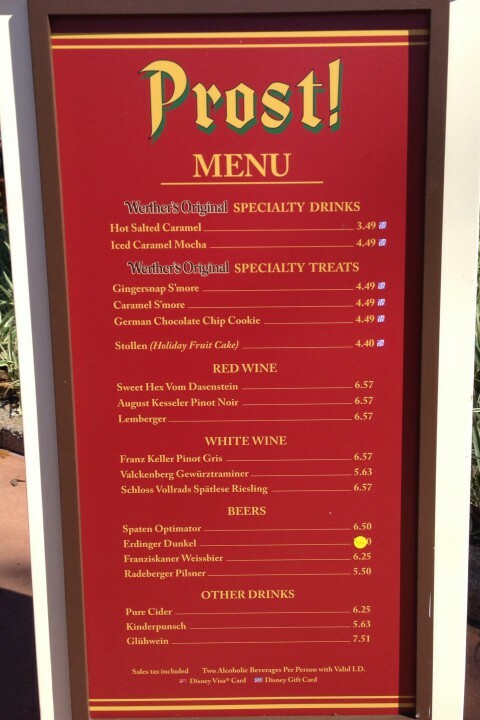 It is conveniently located at the location where, only a month before, we would have found Germany’s Food & Wine marketplace … and it’s loaded with holiday “goodies”! Check it out! What’s your pleasure? A Hot Salted Caramel, perhaps? Would you prefer a Gingersnap S’more or a German Chocolate Chip Cookie? Yum! 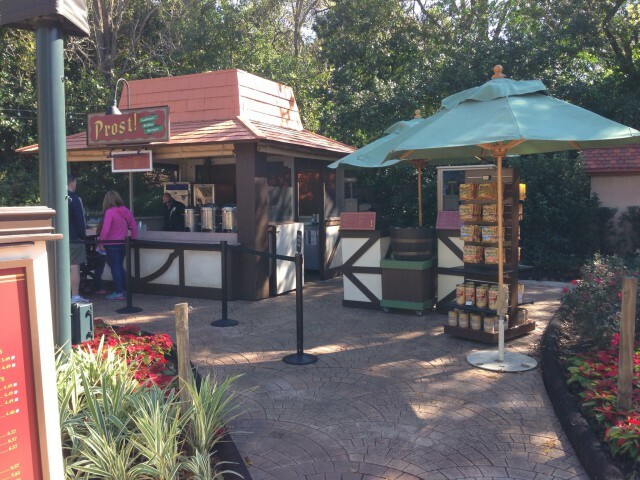 Regardless of what you pick, this spot is a fabulous and festive addition to World Showcase. Great job, Epcot! ← Re-Booting Hollywood! The Great [BIG] Movie Ride Re-Furb! Trivia Revealed!